We enjoyed the entire Triduum together, and were blessed to have all but one of our children home. (The one missing is studying abroad for the semester.) Highlights included Holy Thursday Mass, services for Good Friday, Confession on Holy Saturday, a visit from Grandma and Grandpa on Saturday, coloring eggs on Saturday, a family skating party on Saturday (it’s safe to say Saturday was the busiest day) and of course Easter Mass on Sunday. The girls gathered wildflowers for our table and spent time praying and talking on the swing in the back….Many blessings of the Risen Lord to you and your family! It is good to remind the children of the faith of the Old Testament people and the rich symbolism. It is good to re-read the story of Moses and the Exodus and remind people that while Jesus’s mother Mary was undoubtedly the first Christian, Jesus was raised Jewish! 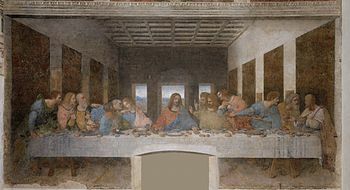 May you have a blessed Holy Thursday, and I hope you will join me in prayer for our Jewish brothers and sisters who share Christians’ ancient history. As Christians we find fulfillment of the prophecies of the Old Testament in the New Testament. We find the Messiah among us and begin now, as we enter into the Holy Triduum, to commemorate Jesus’ passion, death and resurrection on Easter Sunday. Today I’m offering many prayers that our bond with our Jewish brothers and sisters will remain strong and that those bonds, as we continually seek understanding of and respect for one another, will enhance friendships and relationships now and in the future. “I remember the first time I ever heard her call her husband a name, a name I had never, ever, heard a woman call her husband. I was taken back. “Was she serious?” “Did she say that to shock me?” I was 25 years old. I had not just fallen off the turnip truck or joined the Catholic Church. I had heard many a woman, many a Catholic woman, call their husbands many a name. But never this. She said…….” continue reading HERE. St. Joseph, Patron of departed souls – pray for me. 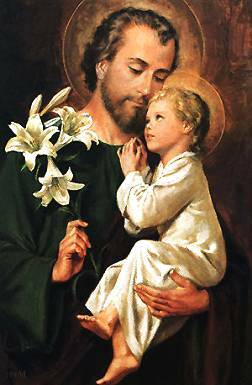 Saint Joseph, patron of fathers, workers, the universal Church, a happy death, carpentry, selling houses….and a model of a strong, holy man who is humble and gentle and guides his family by following God’s will. I once was visiting a beautiful home, finely furnished with exquisite furniture, lovely artwork and impeccable décor. However, the heavy draperies around the windows blocked most of the natural light in the rooms, and left an atmosphere of heaviness and, quite frankly, suffocation. Although the home was beautiful I couldn’t wait to leave and enjoy the freshness and plainness of the light and air outside. I can’t help but think…, about the “heaviness,” the complications of everyday life, which have the potential to snuff out the fresh light and air of Christ in our lives. What am I talking about? I’m talking about living simply. Obviously Lent is a time for penance, reflection, renewal. It’s a time for introspection and consideration of things eternal. What I’m proposing this Lent is paring down life, getting rid of the “heavy draperies” so that things eternal can shine into our daily thoughts and lives. How can simplicity of life be accomplished? I’m going to offer a formula set forth by philosopher and professor Peter Kreeft in his classic 1990 book, Making Choices: Practical Wisdom for Everyday Moral Decisions. … Find it here. Third, recognize that often less is more. Don’t just give up sweets this Lent. Take less food. Chew it slowly. Savor its flavor deliberately. Enjoy it more. We’ve all seen women who have overdone it in the jewelry and make-up departments. They have baubles and beads on every limb, and layers of gold or silver around their necks. Heavy eye shadow and lip color emphasizes their faces. Who can deny that this actually detracts from a woman’s natural beauty? Contrast that image with simple cleanliness and light makeup, a plain cross necklace and a pair of simple earrings on a female. One young woman I knew in college gave up make-up for Lent. That’s probably considered radical in our American culture, and I don’t know very many women who would do that for forty whole days, but it is a good idea to eliminate extra things. Less truly is often more. Fourth, decrease expenses. We don’t need half of what we want anyway. Love of money is the root of all evil. See what you can do without. Fifth, embrace silence. Kreeft calls silence “the unknown power source…the great untapped resource.” He says that silence is more, not less than noise. Cultivate inner silence by eliminating outer noise. Turn off the television. Skip the radio in the car. Listen more. Talk less. God speaks to us all the time, but often with the cacophonic sounds intruding into our lives we just don’t hear Him. Simplifying life truly is like pulling back or even taking down thick draperies in a stuffy, dark room. In removing the fabric that blocks luminosity we will find more light, more freshness, and quite likely more room for God. 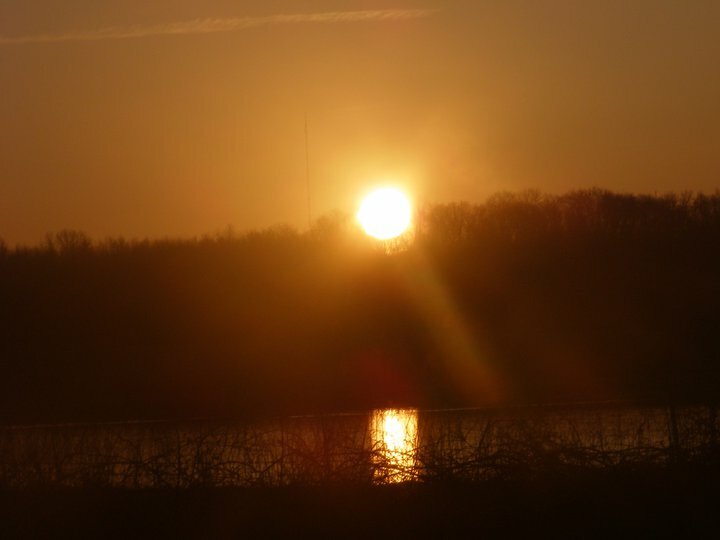 ….Read more articles on Lent here.